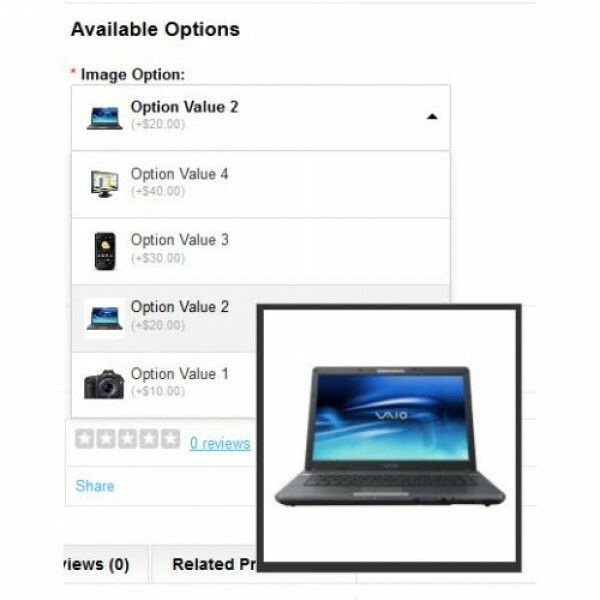 Make your product page much neater, nicer, more eye-catching to your customers with Product Image Option DropDown mod. 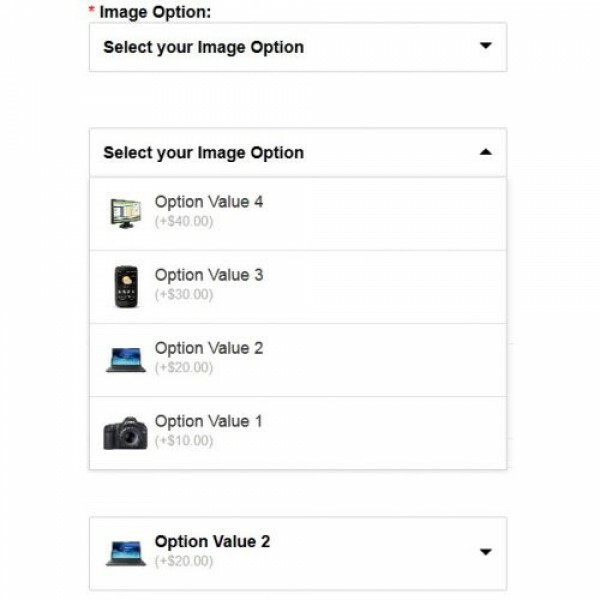 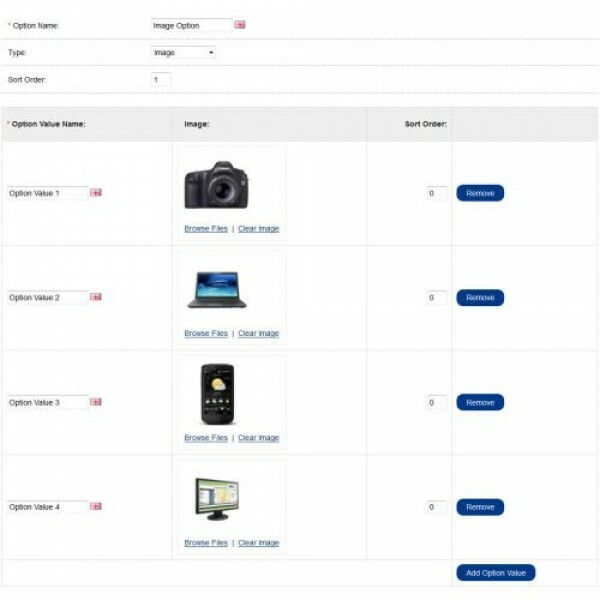 A picture worths a thousand words and this mod improves OpenCart Image option beautifully, replaces the default layout with a fancier dropdown PLUS image previewing effect. - Display product options in a prettier, more organizing and attractive layout. 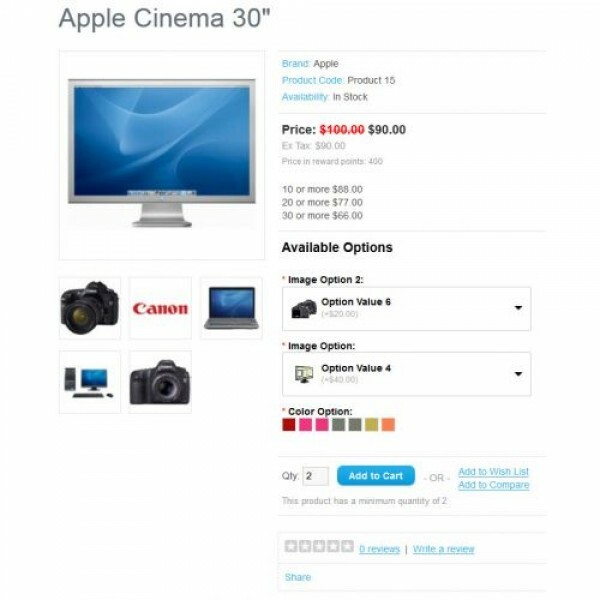 Just drop an email to contact@wedoweb.com.au for any questions or supports. 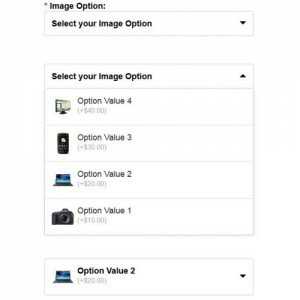 -Image options can just be set to a product as other options.